Dr. Hatcher is currently the Director of the Office for Research and Sponsored Programs and the Director of the Office for Clinical Trials at Montefiore Medical Center. 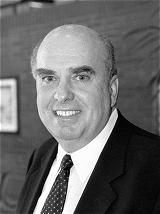 In 1996, he was appointed Associate Dean for Continuing Medical Education and Director of the Center for Continuing Medical Education at the Albert Einstein College of Medicine of Yeshiva University. Dr Hatcher, a Professor of Medicine and Biochemistry, has published over 75 original articles in reviewed journals and several chapters. His area of expertise is vascular biology.